We kicked off last week’s Tuesday Topics with something heavy: early access. A divisive yet increasingly popular trend that you lovely folk had a lot to say about. But let’s change pace this week – as well as change the name to Topic of the Week – since some of you are probably a wee bit tired after getting all fired up while watching the Dota 2 International grand final yesterday. So on this relaxing Tuesday, let’s have a wee gab about some of our favourite PC games. Your desert island games. 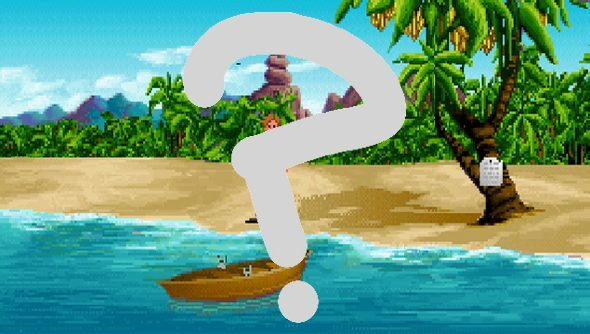 Your house is burning down, the Rapture is upon us, aliens have invaded or you’ve been stranded on a tropical island: what are the three games you’re going to save, keeping with you come hell or high water? I’ll get the ball rolling. The first one is a game that I haven’t played in years, yet I know will still provide endless enjoyment: Neverwinter Nights. BioWare’s first 3D RPG was a bit lukewarm, with a story and cast that were instantly forgettable. But it had a trick up its sleeve that the roleplaying veteran has yet to even attempt to replicate. The Aurora Toolset transformed Neverwinter Nights from a run of the mill fantasy RPG into a gargantuan campaign creator. The games and modules created by users, many of them based on D&D campaigns, ensured that there were adventures without end. A heavy dose of nostalgia and thousands of campaigns would make sure that I’d be kept busy on the desert island. The expansions were actually very good to boot. Crusader Kings II is a game I simply couldn’t live without. With all of its DLC, it’s one of the largest and most ambitious grand strategy titles out there, mixing things up considerably with roleplaying elements and murderous dynastic shenanigans. I could easily lose myself in my goals of creating the first Hindu Vikings or conquering Europe as a Scottish king, making my slow descent into madness, stuck on an island in the middle of nowhere, all the more tolerable. And finally, there’s Rome: Total War. My love for this game is unending. My brain reminds me that it’s not even the best in the franchise – that goes to it’s younger sibling Shogun 2 – but the heart wants what the heart wants. Creative Assembly’s first foray into antiquity set the standard for titanic clashes. It’s equal parts thoughtful and flashy, and I can’t imagine ever getting tired of burning down Roman cities with angry Germanic hordes or spreading the standards of my legions throughout the known world. If I can sneak a copy of De Bello Gallico onto the desert island, then that’s a bonus. Okay, that’s my lot. What about you lovely people?